Johannesburg - The Congress of SA Trade Unions fell short of welcoming newly-appointed Finance Minister Pravin Gordhan back to his previous post by saying he was "not a friend of the working class". It did, however, commend President Jacob Zuma for his efforts to "fix what people of the country were objecting to". 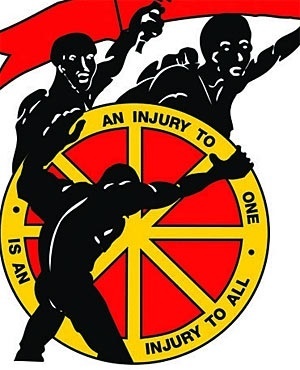 In a statement on Monday, Cosatu said: "We will only throw our full support behind him ... if he signs in to an honest progressive agenda," spokesperson Sizwe Pamla said in a statement. "This economy has for a long time failed to serve the interest of working class." Four days after removing Nhlanhla Nene as finance minister and replacing him with David van Rooyen, Zuma announced another reshuffle of the key portfolio. He re-appointed Gordhan as finance minister and shifted Van Rooyen to co-operative governance and traditional affairs. Cosatu was unhappy with the decision to remove Nene last week, calling it shocking and ill-timed. However, on Monday, following Gordhan's appointment, Cosatu welcomed the president's attempts and efforts to fix what people of the country were objecting to. "He has proven that he is not a political vandal but he is a tough-minded leader prepared to listen and change some of his decisions when necessary. "We hope the president listened and considered the views of the taxpayers and voters and did not only succumb to the markets," Pamla said. The SA Communist Party also welcomed Zuma's decision to "listen to the people". "Such important appointments, as with other strategic decisions taken to guide our shared national democratic revolution always require a wide ranging meaningful consultation particularly within the liberation alliance," the party said in a statement. When Van Rooyen was appointed the SACP said it noted his appointment but also fell short of welcoming it. It later said it hoped Van Rooyen would maintain and improve on the good work Nene had done as minister.